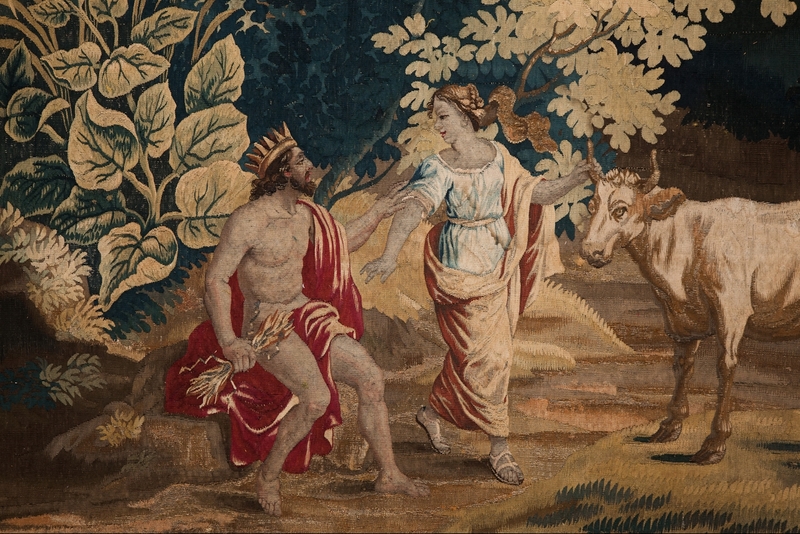 Taken from the mythological story, Jupiter sees the beautiful girl Io and falls in love with her.When his jealous wife Juno realises he turns the young girl into a white cow to disguise her. 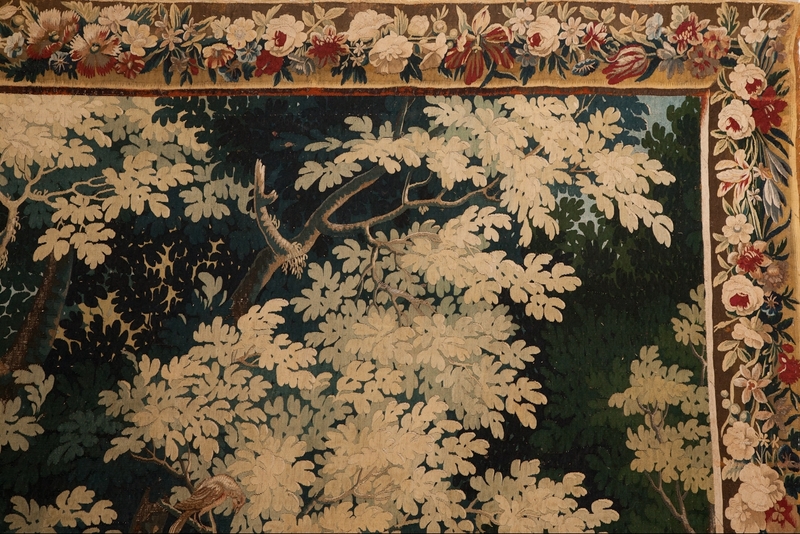 This beautiful verdure tapestry shows in the lower left hand side Jupiter with his wife Juno accompanied by Io once she has been turned into a white cow. Large and fantastical plants surround them coming from the story that wherever Io passes extraordinary plants grow. 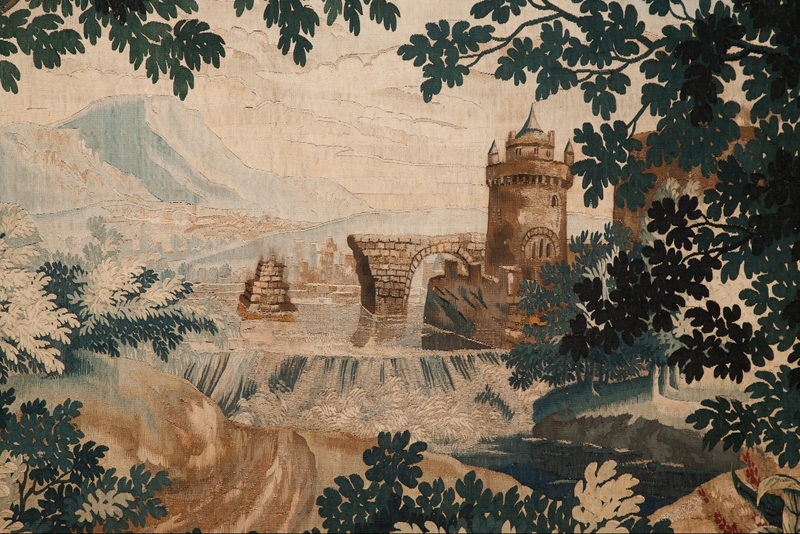 In the background is seen a fortress with a river and waterfall. 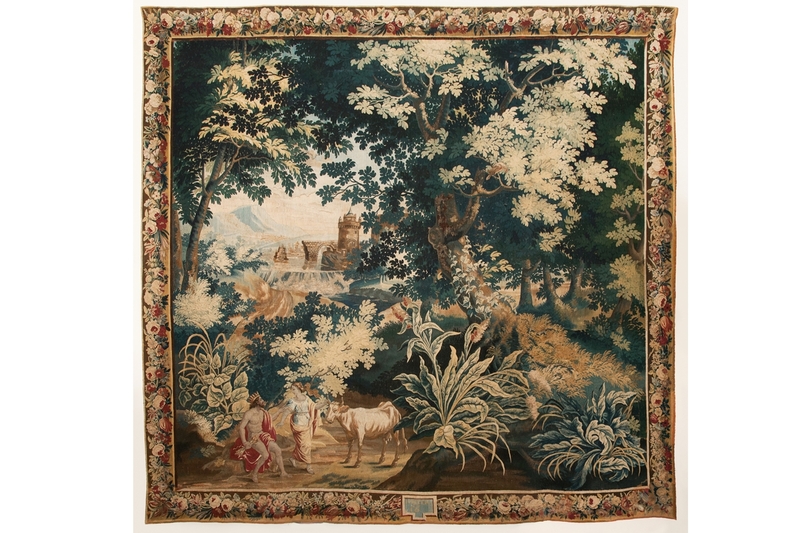 Surrounded by a rich floral and fruiting border with a cartouche in the centre bottom of the border with the inscription JUPITER et IO on a blue ground.The tapestry has a signature on the bottom left side identifying it as belonging to the Brussels's manufacturers of the 17th and 18th centuries. 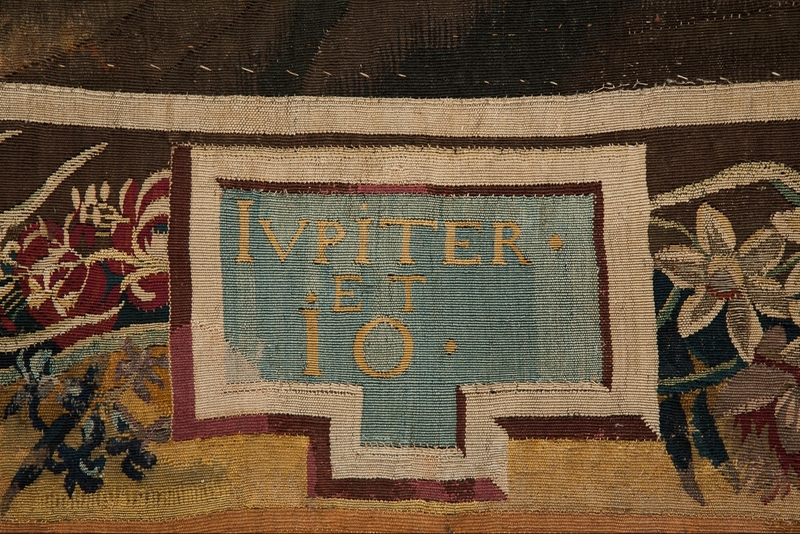 W. G Thomson's 'A History Of Tapestry'states that "By regulation of the corporation of tapissiers in Brussels in 1528, it became obligatory, that every piece of more than six ells made in the town should have in the lower part ...a shield flanked by two B's". H. 310 W. 320 D. 1 cm. H. 122 W. 126 D. 0 in.